Indulge and pamper yourself with handmade aromatherapy body care. I use exotic recipes for nurturing your body in a natural blend of botanical treasures, aromatic herbs and essential oils to enlighten your mind, embrace your spirit and Honor Your Body. Products include handmade soap, facial wash, sensuous body exfoliate, aromatic bath salts, fragrant body fresh & botanical aftershave. 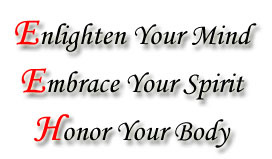 Honor Your Body Aromatherapy Body Care is for Him & Her. I started creating my own body care in early 80’s to correct my own skin problems. Because of my personal success, I continue to use nature’s recipe for body care. Fragrant body bars captivates all your senses with texture, shapes and colors. Hydrate and nurture your body in bath or shower. Place these handmade jewels by your sink in the powder room or kitchen. Keep in your purse, office drawers, luggage, car, use instead of common soap in public places. Perfect scents for him or her. Keep soap dry after every use. Exfoliate and transform manicures and pedicures into a delicious experience. Use at home or take with you to your favorite nail salon. Use in shower to exfoliate your body, you will be transformed forever. Remove stress from your body. Relax in warm water. Let the toxins leave your body, be one with your spirit. Drink lots of water after salt baths. After shower, after bath, anytime is the right time to be fresh. Also, can be used as a room freshner, for home, car and workplace. Travel size available. Special recipe for aftershave use, has natural astringent to tighten pores and gently pamper him or her. Shake well with every use. Stimulate and wake up your face with a gentle foaming cleanse. Honor Your Body Handmade Aromatherapy is a perfect gift for any and all occasions. Gift Sets are distinctively customized and arranged in decorative gift bags, unique gift boxes and baskets…It’s your choice. Gifts Certificates and Gift Donations Available (Amount is your choice).